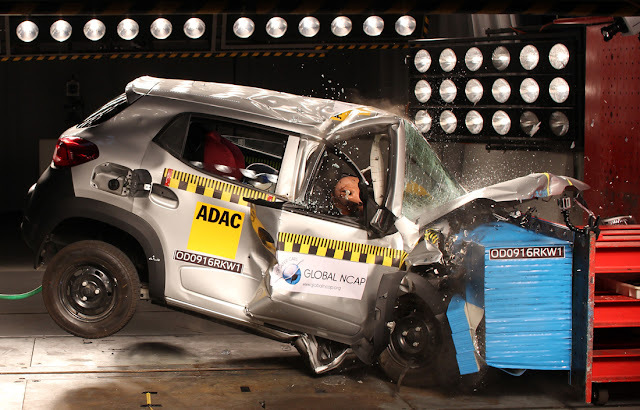 The latest crash tests on few Indian car models disappointed the entire nation as all the cars tested were rated zero by the Global NCAP. The 5 cars tested by NCAP were: Renault Kwid (3 variants), Maruti Suzuki Celerio, Maruti Suzuki Eeco, Mahindra Scorpio and Hyundai Eon. Please note, only the non-airbags variants of the above mentioned car models were tested expect one variant of Kwid with had one driver-side airbag installed in it. The Renault Kwid was tested in 3 different versions, including one with air-bags, but each one was rated as a zero star for adult safety. The standard version of Kwid obtained 0 star for adult occupant protection whereas, 2 stars in child occupant protection. Although the structure did not collapse, it was rated as unstable and could not withstand any further loadings. It was possible to see structural reinforcements in this version of the Kwid but when the NCAP Team checked the left passage side, no reinforcements were found. The Kwid version with the addition of a driver airbag was also tested, which also failed. This version scored the same score as the previous versions of Kwid and had the same structural reinforcements. 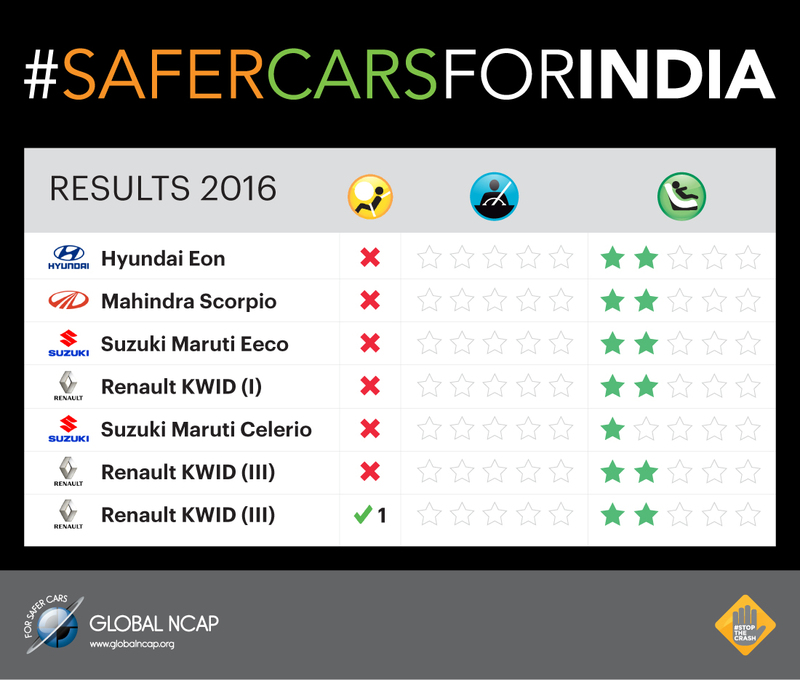 Mahindra Scorpio matched the score of Renault KWID, scoring zero stars for adult occupant and two stars for child occupant. The structure of the car collapsed and lack of airbags only meant life-threatening and horrific injuries to at least one of the riders. The non airbag Eeco also scored zero stars in adult occupant protection and just a single star in child occupant protection. The collapse of structure and lack of airbags explained the poor results in the adult occupant protection. Optional airbags are not even available for this version. Even if added, airbags will do no good, considering the damage done to the structure of the vehicle. The Hyundai Eon is offered in a standard version without airbags. 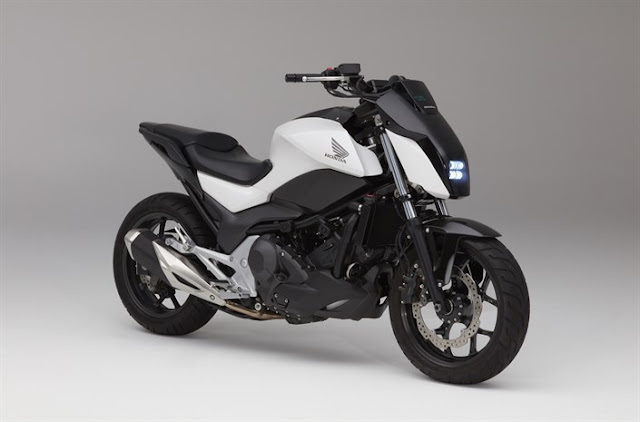 It scored 2 stars in child occupant protection and 0 stars in adult occupant protection. Weak structure along with no airbags were considered responsible for the results. The non-airbag standard version of the car scored zero stars in the adult occupant protection and one star in the child occupant protection. Lack of airbags were considered responsible for the poor results.